Help CVR maintain the area around the cabins and trails so that families and groups have plenty of space to play and mingle while still experiencing being in the woods. Controlling the woods is an ongoing endeavor and every hand helps! Small groups and their family members are welcome to come the evening before and stay the evening of the project day if they would like. Lunch and dinner on Saturday are provided. Meals for Friday evening, Saturday morning, and Sunday morning would be on your own, but groups are welcome to use the Lodge kitchen or the individual cabins' kitchenettes. Hiking and fishing are close by at the Obed Wild and Scenic River access points on Clear Creek. We stream LifePoint Live at 10:30 central in the Lodge on Sunday mornings. 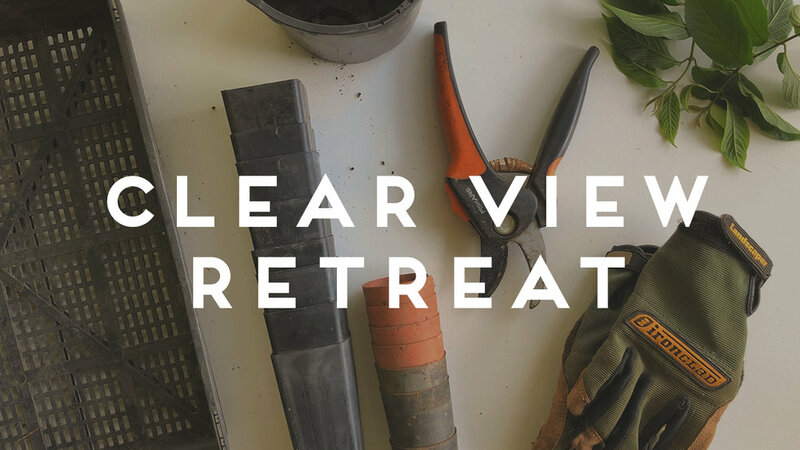 What is Clear View Retreat? CVR's mission is to enhance family discipleship and biblical community. Their primary program is the Family Camp ministry which ministers to the whole family together. Their heart is to see families grow closer to Christ, within their own family context, and with their church community. They also have outreaches to grieving families, full-time ministry leaders, married couples, and more.